Does God Make the Man? is a fascinating look at how evangelical and ecumenical men process the messages they hear about masculinity from religion and media. The authors organized focus groups and recorded hundreds of hours of conversations to see if religion is vital to developing masculine identity. They conclude that, although evangelical men may claim to learn gender roles from the Bible, the actual sources of this knowledge are media and culture. As a result, both groups still believe there are male prerogatives of protection, provision and purpose, yet they are looking for a larger purpose for their lives. Hoover and Coats argue that there are no gender-specific biblical ideals (unlike typical complementarian teachings regarding masculine identity1); how gender is expressed is learned from culture. Scripture instructs both women and men in being Christ followers. The interviewee notes that the church needed to be explicit that the elder had to be male, which shows an awareness that women now have a greater presence in leadership. I was encouraged to see the authors report on the impact of feminism on the uncertain ground of the evangelical idea of “headship.” One respondent, who has a commitment to male-only leadership, when asked to describe women’s roles in relation to “headship,” offered a somewhat egalitarian description. Hoover and Coats explain that their main research interests are traditional involvement in religion and how it intersects with media, and investigating “neo-traditionalist” claims of a “crisis of masculinity” where societal ills are thought to be the result of fatherless families and of “toxic masculinity” learned from media. Neo-traditionalists believe that strong male leadership will fix the various problems of both family and culture. Their research finds that, rather than engage problems in their communities or society at large, these men put a premium on raising their children and being identified as good fathers; any other commitments would take them away from time with their families. Hoover and Coats also look at the influence by the fathers of these men. Most respondents mentioned their fathers, but they qualified the fathers’ influence. They write, “Particularly telling to our project, most men don’t attribute a great repertoire of specific ideas to their fathers. Instead, while most seem to have learned what they consider positive things from fathers, many do not want to emulate some key things about their fathers’ practices. . . . ‘My dad was a great dad, but . . . ’” (72). Evangelical and ecumenical men chose many of the same characters as representative of a masculine ideal. While they both identify with Hanks’s character in Saving Private Ryan, or discussed Gibson’s version of William Wallace in Braveheart, they brought their own spin to the characters. Where evangelicals might find a Christ-like sacrifice in Braveheart, ecumenical men might resonate with the reluctant revolutionary, only joining the cause after his “family” was destroyed. The book reinforces that what and how we learn about gender is influenced most by culture. Once those beliefs are solidified we tend to see and hear information that supports our belief systems. An interesting change from “tradition” is that the men in both groups consider being a good father as a primary goal. That these men have invested their time in the unpaid work of childcare in the home is an interesting influence of feminism. The authors note that these men are looking to be “more nurturing husbands and fathers” (158). Does God Make the Man? 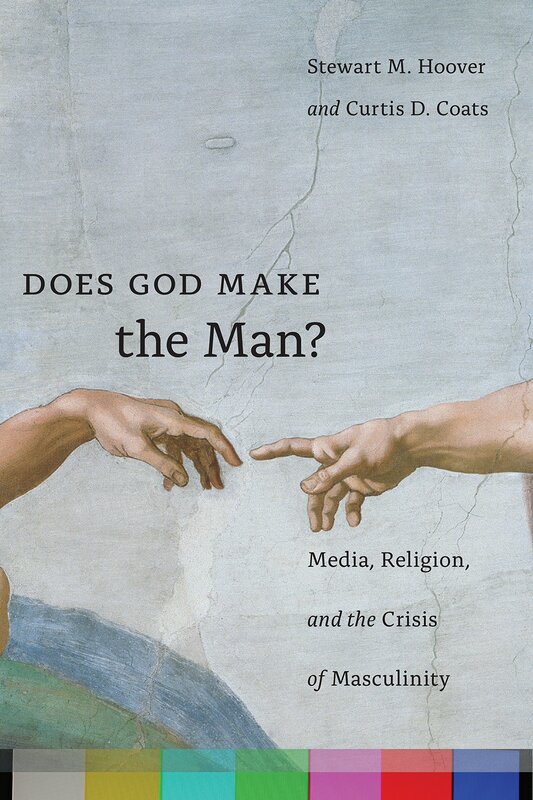 is primarily written for those studying the intersection of media and religion. There is an assumption that the reader will be somewhat familiar with feminist theory, including a basic understanding of gender constructivism. Overall, this book is approachable for the interested reader wanting to understand more about the influences of media on communication and meaning-making in society. This book will not tell you how to be a better Christian, but it will show how media influences society through the example of two groups of men who explore what it means to be a Christian man. This book shows how certain men make sense of Christianity at home and at work, and how they see their roles as men. What they report also represents new perceptions of fatherhood in the face of patriarchy—a tradition which most evangelical and ecumenical men want to discard. Both groups place a premium on equality and shared responsibility in the domestic realm, which may give egalitarians room for hope. 1. See David Schrock, “Gender Specific Blessings: Bolstering a Biblical Theology of Gender Roles,” Journal for Biblical Manhood and Womanhood 21, no. 1 (Spring 2016): 15–18. 2. “Readers should keep in mind that the interviews on which this book is based took place before the widely reported allegations of sexual coercion against Bill Cosby surfaced” (198). 3. The authors and I find it interesting that Mel Gibson’s Passion of the Christ was not considered an iconic role for men. 4. I thank Stewart Hoover for taking the time to answer my questions, and I am grateful to Paul Voakes for critiquing my draft in the midst of a busy semester. Alice Guinther holds a BA in philosophy from the University of Colorado Boulder, where she works in the College of Media, Communication, and Information. She is a published artist and photographer.